Businesses in the law industry need to demonstrate that they are no-nonsense and are reliable. 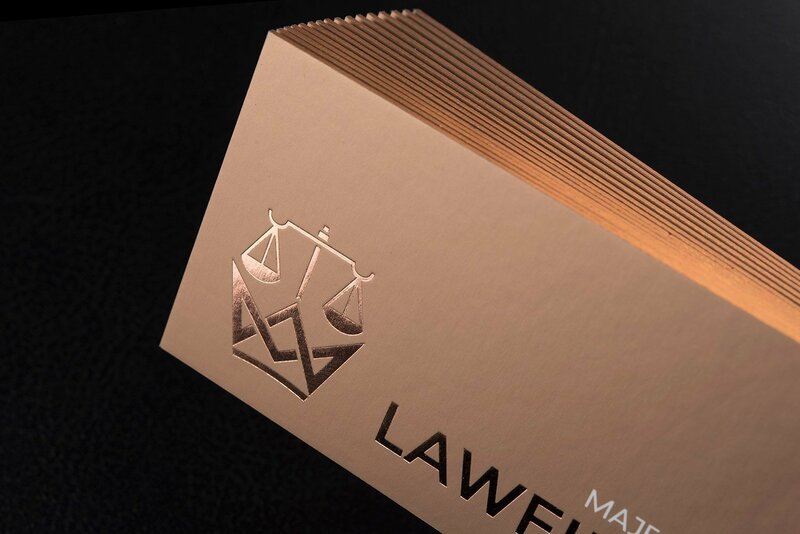 A great way to do that is by using our Majestic Law Firm template. 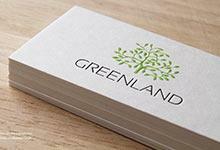 Printed on our 34pt Silk laminated cardstock, this template provides a substantial thickness that speaks of a steadfast and trust worthy business. 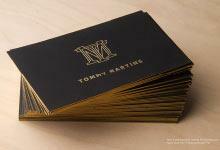 Copper metallic gold ink and foil add a dab of luxury that demonstrates a high-level of success. Spot UV creates a subtle gloss that helps to highlight your logo thereby furthering your branding. 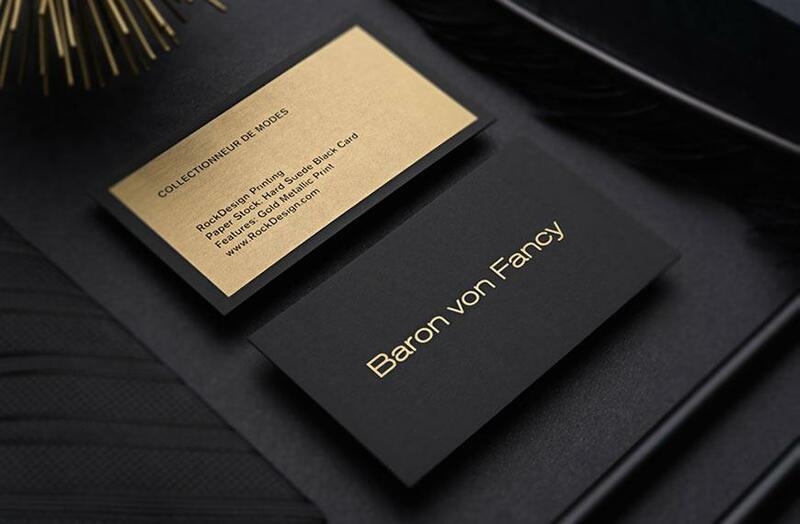 The finishing touch of this template is the copper edge foil that adds a third dimension to the experience of these business cards by creating visual interest along the edge of the business card. 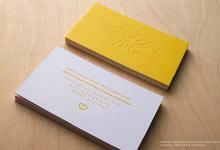 Let this luxurious design speak for your company!